The Journey Into Imagination pavilion is one of the more striking architectural structures at Walt Disney World. 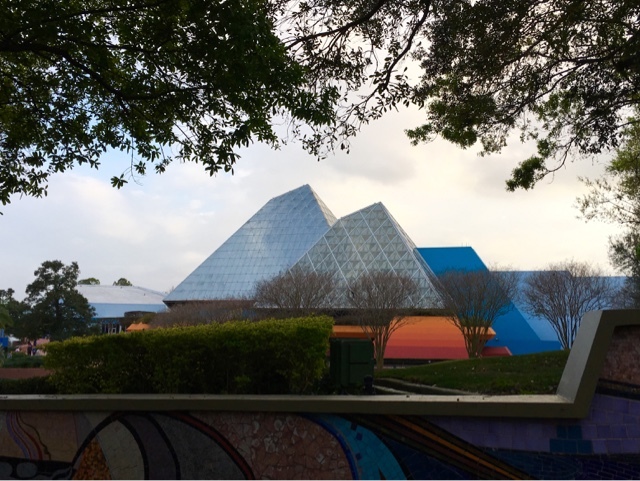 The glass pyramids have been a part of Epcot since its opening in 1982. I took this shot today from the exit ramp of The Land pavilion.